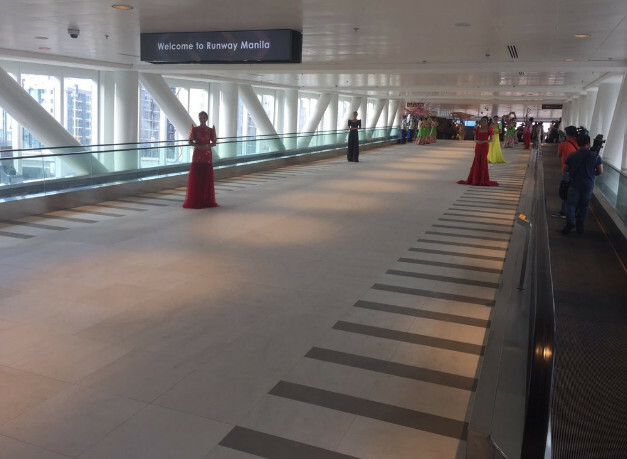 Runway Manila, the pedestian bridge that links the Ninoy Aquino International Airport terminal 3 and Newport City business hub in Pasay City was launched on Tuesday. The P1.5 billion project was financed by Alliance Global Group Inc, is enclosed and air-conditioned, and features pedestrian-friendly amenties such as elevators and moving walkways. The bridge will connect the airport terminal and Newport City in just three minutes, much quicker than through the road within the vicinity. Government officials led by Public Works Secretary Mark Villar and National Economic Development Authority chief Ernesto Pernia attended the event. Villar echoed that the bridge will help ease the traffic problem in the area while Pernia said the bridge has a big impact on country’s economy and business, which had been adversely affected by chronic traffic congestion in many parts of Metro Manila. “[That] is our gift to the Filipino people and increasing number of tourists who come to visit our beautiful country,” AGI President Kingson Sian said.